The Sony F3L Camcorder produces footage with a "Hollywood film camera" look thanks to a sensor that is larger than what is in many broadcast-style cameras and smaller than the full frames of many DSLR cameras. This sensor is more compatible with cine-style film lenses and the form factor is designed for hand-holding which makes run-and-gun shooting easier. 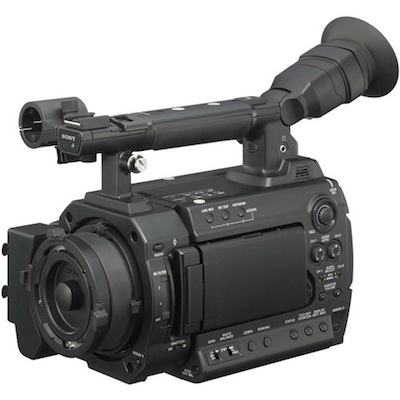 It sports variable frame rates, slow shutter, and uncompressed PCM audio. The F3 also has internal ND filters, which allow for an easy way to knock down light while on the go. It also intercuts well with the F35 and SRW-9000PL as a B camera. This camera is great for narrative filmmaking and documentary work. • This camera uses SxS memory cards, which are rentable separately. • We will make every attempt to have a fully charged battery for you but we can't guarantee it 100%. If you need a fully charged battery, please request it via order notes. • This camera comes pre-loaded with Sony S-Log Gamma Software. • In the highest quality 1080p, you can record up to 100 minutes on a single 32GB SxS card.